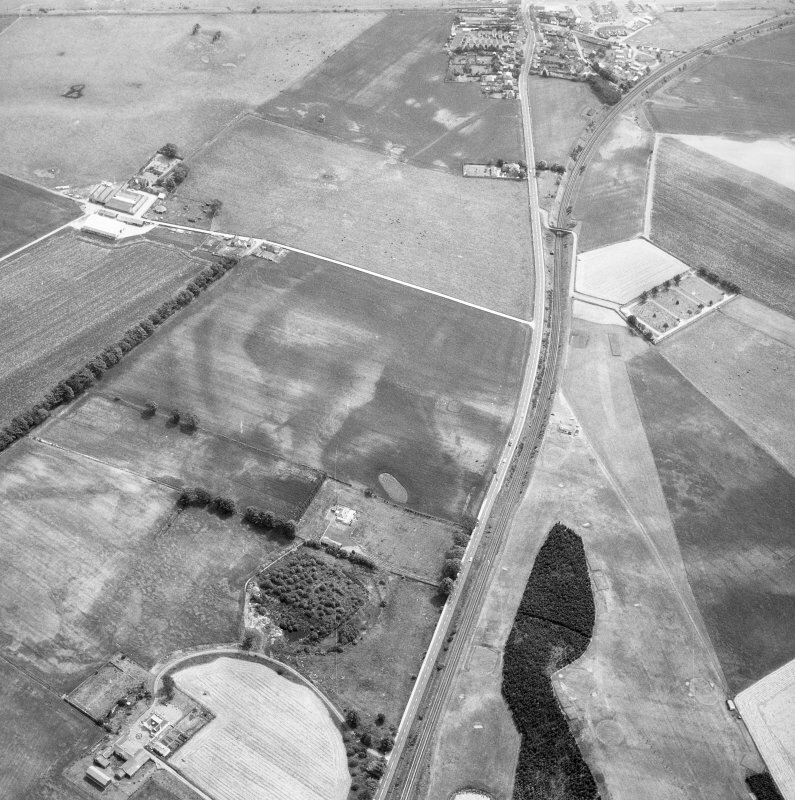 Oblique aerial view of the remains of Leuchars Castle. 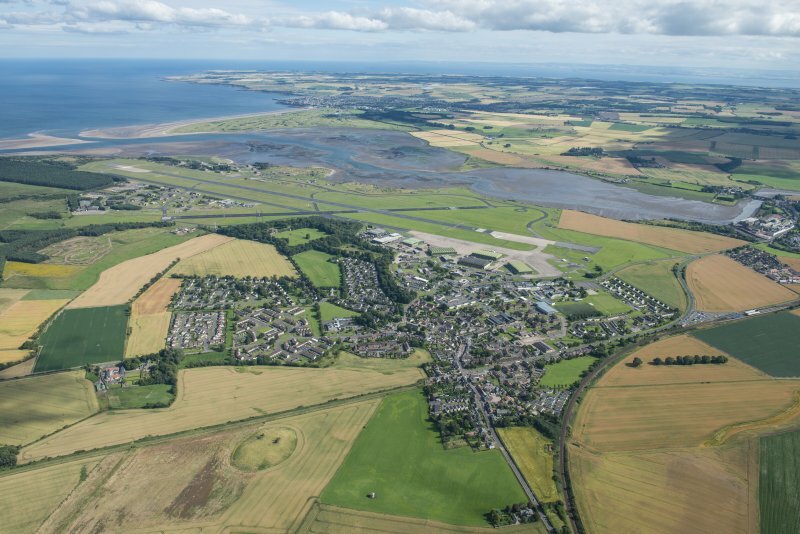 General oblique aerial view of Leuchars village and airfield with the Eden Estuary Nature Reserve beyond, looking SE. 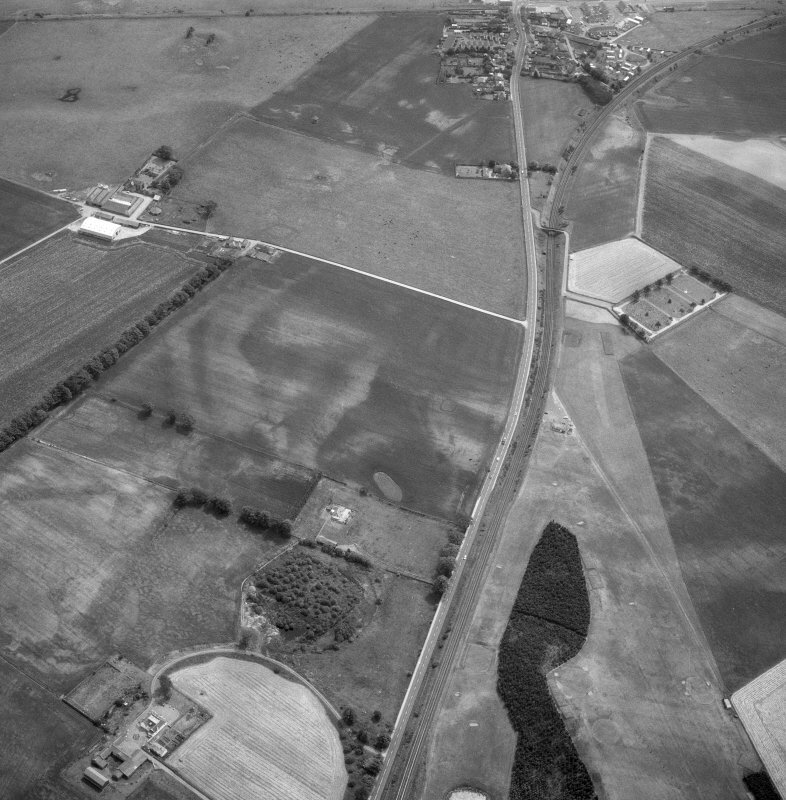 Oblique aerial view of Leuchars Castle, looking SSE. 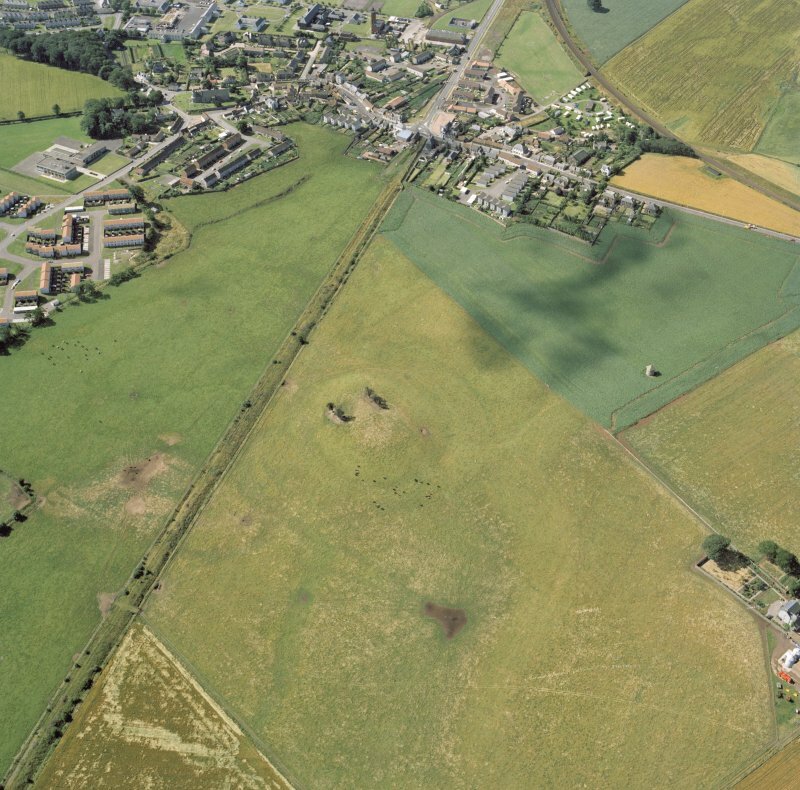 Site of Leuchars Castle (Mote) (NR). 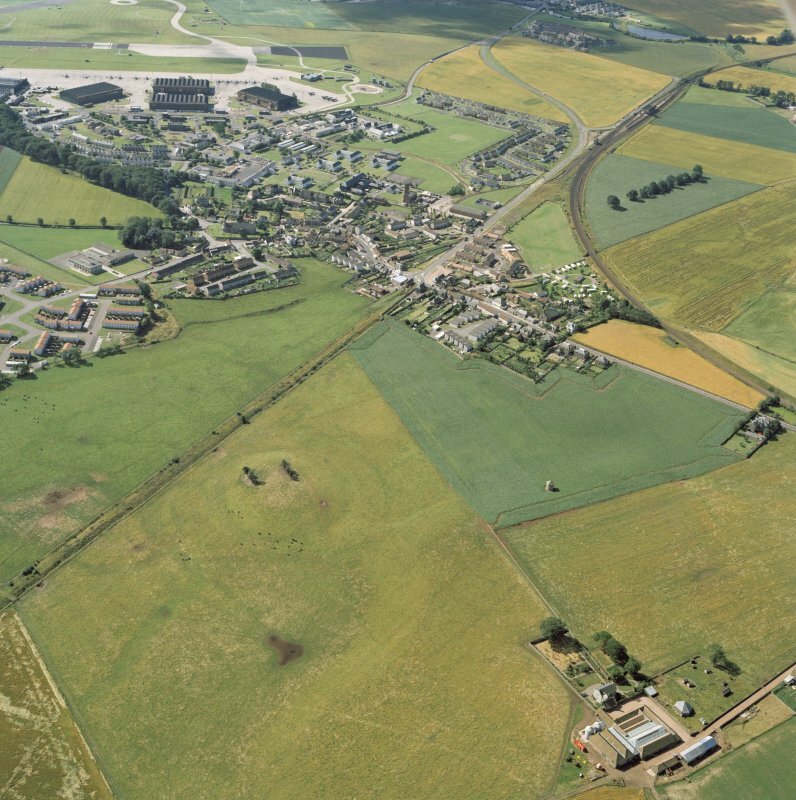 The barony of Leuchars existed in the time of William the Lion (1165-1214), and the castle existed before 1264. It was demolished early in the 19th century. Leuchars Castle - the site was originally a mote-hill, with a summit 100 yds long by 60 yds wide and 25ft high, which was later crowned by a stone castle, occupied at least as late as 1565, and part still standing at the close of the 18th century. A moat surrounded the site. The area is cultivated, and fragments of mortared stone, shell pinnings, glass and tile can be picked up. In 1923 Dr Mears, Leuchars, found a bronze plate just to the S of the mound. It bears figures in 12th/13th century costume, and is now in the National Museum. A portion of a sculptured cross-slab was found on the Castle Knowe, Leuchars - the site of the former Leuchars Castle. There is no masonry left here, and subsequent examination did not lead to the recovery of any other fragments of the slab. The slab, which has been placed in Leuchars Church, may have come from a site near the church where, tradition states, a Celtic chapel (St Bonoc's) was situated. 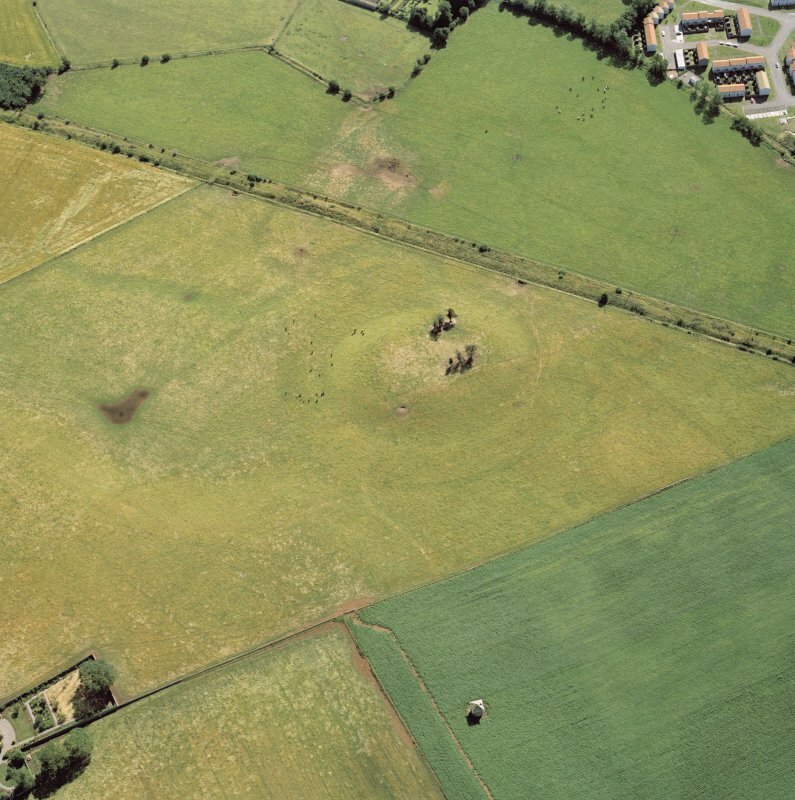 Castle Motte is an oval, flat-topped mound, measuring 100m by 70m by c.8m high. A quantity of building material and oyster shells occurs on the surface, and a number of stone blocks have been placed among two clumps of trees on the mound. Visited by OS (DS), 19 October 1956. 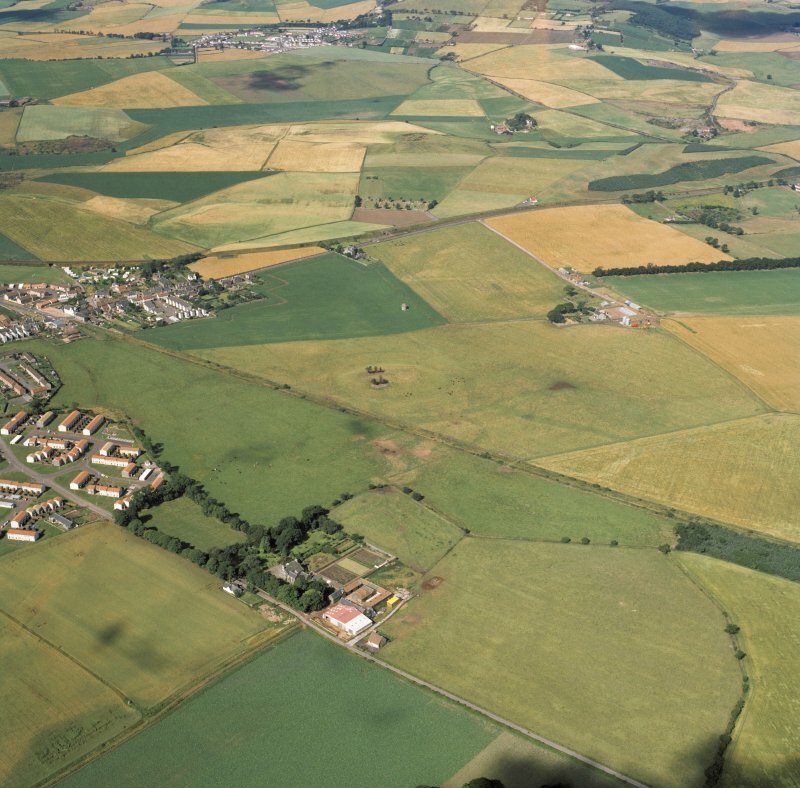 Leuchars Castle (site) is generally as described above, but cultivation has reduced the summit to about 80.0m N-S by 50.0m. 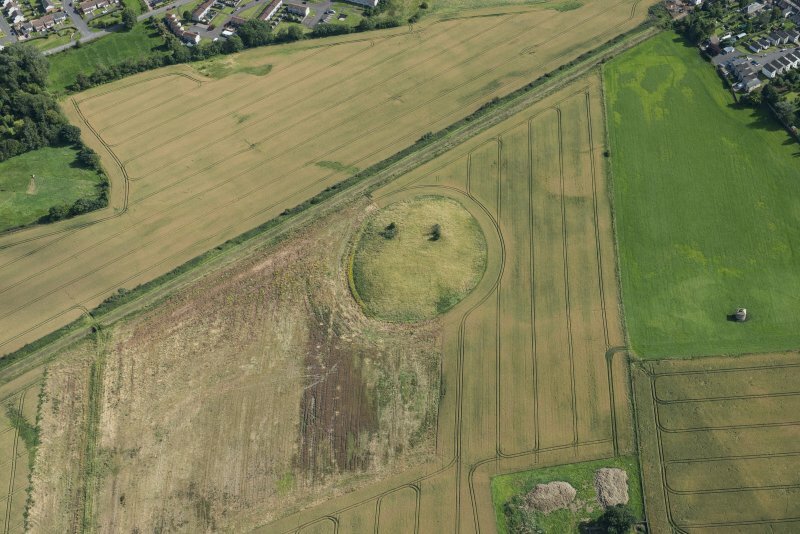 What is probably the bailey for this motte has been identified on aerial photographs: see NO42SE 52 for details. Information from N Cunningham, 1990.